I just bought the HP Pavilion x2, and i'm extremely happy with it (it's a 2 in 1 laptop). I've found a flaw though, i don't know if it's a defect in my unit or in every one. Whenever I use the computer, as simple as just scrolling in chrome or even moving the mouse, there is this static noise in my earbuds. This is incredible annoying, as i want the sound as pure as it should be. I've spent hours searching and found many people with similar problems. Some people fixed it by switching aux port from front to back (but i only have one on my pc). I also saw people blaming it on a poorly made audio jack, some blamed it on a grounding issue, some said it came from the psu. I've also noticed that it might seem that it runs in tact with my processor usage, as when it gets higher (mostly when it passes 10%). I don't know if it's random or could be connected. "-After long hours of painstaking research I came across a forum where some guy explained something about current leaking through the ground into ports and connections on the motherboard due to poor design and so on, it made alot of sense because the noise would become more intense when you did any CPU/GPU intensive tasks, the components would draw more current therefore more noise because somewhere that current is leaking into the ground of the computer?" I used to have something similair on an older laptop. Does it get worse when you hook it up to the charger? One possible solution I know of is getting an external sound card and use that instead, but that'd probably be too inconvenient (plus, it costs money). Something you could try as well is the "troubleshoot sound problems" option you see when you right click on the speaker icon in the bottom right on the taskbar. It usually gives u some possible options to tinker around with. There's probably only a small chance of it working tho, but it's worth a shot. Return the laptop, get a different model, since this one is prone to the issues you're having. Don't open it (warranty). (08-16-2017, 10:21 PM)Randoom Wrote: Return the laptop, get a different model, since this one is prone to the issues you're having. Don't open it (warranty). I haven't opened it, and I guess i'll contact the seller about the issues if i can't find a fix myself. I really like this model though, this had everything i asked for. It's a 2 in 1, detachable, good sound, good specs, cheap. Only other place I'd find this, is in the new surface, but thats over $1000. (08-16-2017, 10:21 PM)Stinger Wrote: I used to have something similair on an older laptop. Does it get worse when you hook it up to the charger? I haven't noticed any difference while charging, no. Btw, did this happen to you while your sound was muted. Because even if i mute my sound, it still comes through (and only the earbuds, speakers are crystal clear). I don't really want an external soundcard, so if anything, I'll most likely get a pair of bluetooth earbuds (as i'm guessing the issue is somewhere around the aux). I also bought this laptop to be good looking, sleek and versatile so having an external sound card will definitely get in the way. I've also tried to troubleshoot the sound. There were two things that popped up, It kept rambling about disabling sound effects/sound enhancement and to turn up the volume. First off, when i clicked to disable the sound effects/sound enhancements, it took me to somewhere completely different where there's no such thing as sound enhancement (I'm guessing this is an outdated feature they failed to remove completely). So I've tried all kinds of software fixes i can think of, and since this is basically a tablet, it's not an option to open it up and do hardware fixes. Hey there! @EirikHa, Thank you for visiting the HP Forums! A great place where you can find solutions for your issues with help from the community! I understand you hear a static noise when you connect your headphones to the headphone port on your laptop. Did you make any software or hardware changes to your laptop? Have you tried checking with different headphones? does the issue persist? Please provide the product number of your laptop to assist you better. As you mentioned the laptop internal speakers are not functioning correctly. Try the steps recommended below. 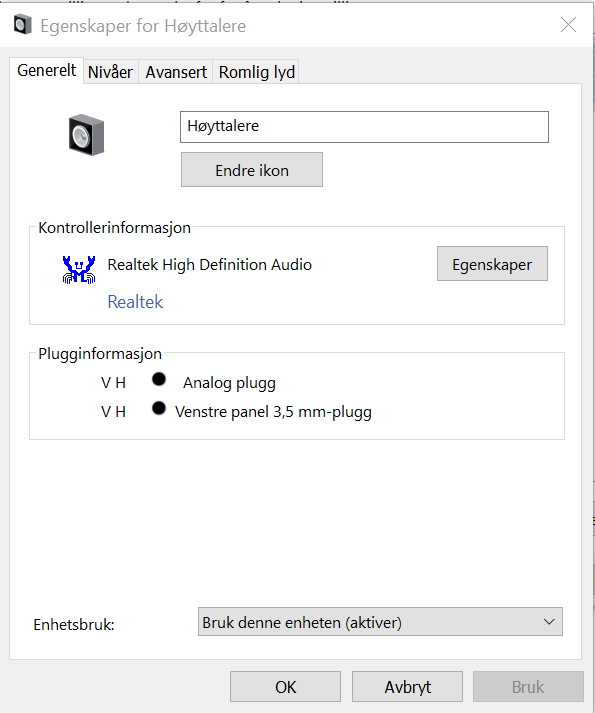 In the list of audio device drivers, look for Realtek High definition Audio. This is the device driver for BeatsAudio (a little bit sneaky, wouldn’t you say?). You should see a window that says Select the device driver you want to install for this hardware. NOTE: If you see a window that says something like This is the best driver for this device, exit the window and repeat steps 4, 5, and 6. 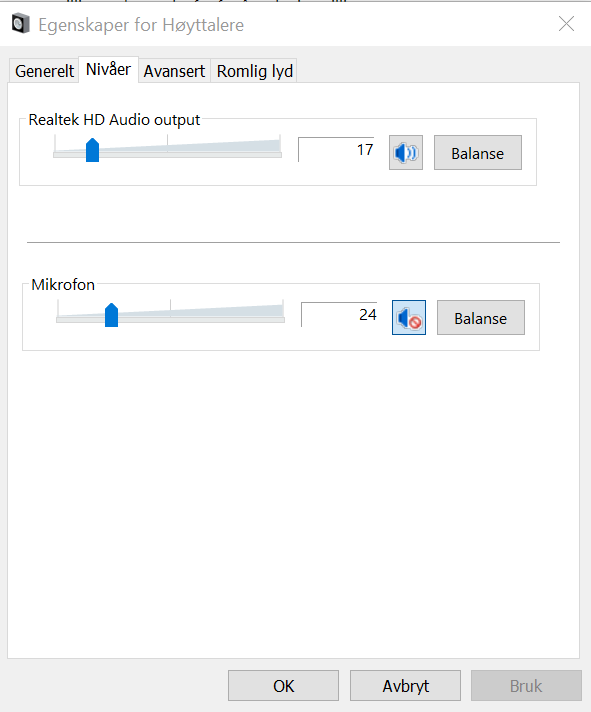 In the list of audio device drivers in the Sound, video and game controllers section, you’ll notice that the High Definition Audio Device now displays instead of Realtek High definition Audio. If the issue still persists uninstall the audio driver from device manager and install the drivers using HP recovery manager. Refer this article to know how to restore drivers using HP recovery manager. Please click "Accept as Solution" if you feel my post solved your issue, it will help others find the solution. The only change i made to my laptop was to install the newest windows, the creators update, as this was recommended. I didn't test the sound before, so i don't know whether this caused it or if it was there from the beginning. I have tested it with several different earbuds, and the problem persists, although amongst my family, i'm the only one who hears it. It also exists in headphones (connected with an audio jack, haven't tried with usb or bluetooth but i doubt it'll be any issue), but it is very low compared to the earbuds (most likely because the speakers are further from my ears). I have already said that this problem is on my brand new Pavilion x2 12-b100. I assume this is what you mean by product number, as i can't find anything else on both the pc and in the instructions about a number. The speakers on the laptop are flawless, i don't know where you got it from that they weren't. The issue only exists through the aux (haven't tried bluetooth or usb, but i'm pretty sure its only through the audio jack). And also, I have no clue where you got BeatsAudio from, my computer uses Bang & Olufsen speakers, something you honestly should have known if you looked up which computer i'm using (2 in 1 Pavilion x2 12-b100), which is written in the top of my first post. I've been in the device manager many times, updating the driver, rolling back the driver, disabling the driver and pretty much everything i could think of. Nonetheless i tried it again, this time disabling it > restarting the pc as told > changing the driver from realtek to high definition. I wasn't told to restart my computer this time, but i noticed the audio went from disabled to enabled after i changed to high definition, and i noticed the change in device manager, so i assume the change of driver was successful. Problem still persisted though. So I think I've tried pretty much everything i can at this point, except a fresh windows 10 installation, something that i don't want to do. My theory is still that there is some bad quality hardware around the aux port or a grounding issue somewhere, seeing as the static seems to increases in tact with cpu percentage. I'm no newbie in computers, starting my third year in highschool as computer-technician in just days, so I had already tried all of this. I'm still happy to receive more assistance though, but maybe on a more professional level. And i want some more information about the sound enhancements tab, as it is nowhere to be found in my sound settings. Oh and one more thing, my synaptics touchpad seems to die. I do have touch though, so i can easily enter device manager and disable then enable it again, but it shouldn't be necessary and i'm getting annoyed by it. I have the latest drivers, according to windows update and device manager. And finally, I ended off using the HP recovery tool that you mentioned and selected the sound driver. Problem still persists. So, i'm still leaning towards some hardware issues. I'm sorry i'm not done yet . I should probably also mention my first impression of the laptop. I took it out of the box, plugged it into the wall. Booted it up into an error screen straight away. I was told press enter to restart the computer, so i obliged. Booted into a bluescreen, just my luck. I went to eat dinner, and a couple minutes later i checked back at the pc, and it had finished and was ready for the basic windows setup. So i gotta say, from all the positive reviews and unboxings I've seen of this, i'm surprised with its behaviour, considering the bluescreen, touchpad problems, aux issues. I still love the laptop though, and the positives far outweigh the negatives, still would like to resolve them to have the laptop i initially was hoping to buy. Generally if you get a bit of static from scrolling, its going to be an audio level issue. I would say its most likely the driver or something boosting the system sound and its creating a distortion on the earbud because the earbud cant handle the frequency range. (08-18-2017, 05:27 PM)REB-Freek Wrote: Generally if you get a bit of static from scrolling, its going to be an audio level issue. I would say its most likely the driver or something boosting the system sound and its creating a distortion on the earbud because the earbud cant handle the frequency range. Like Reb said it could be a frequency issue. 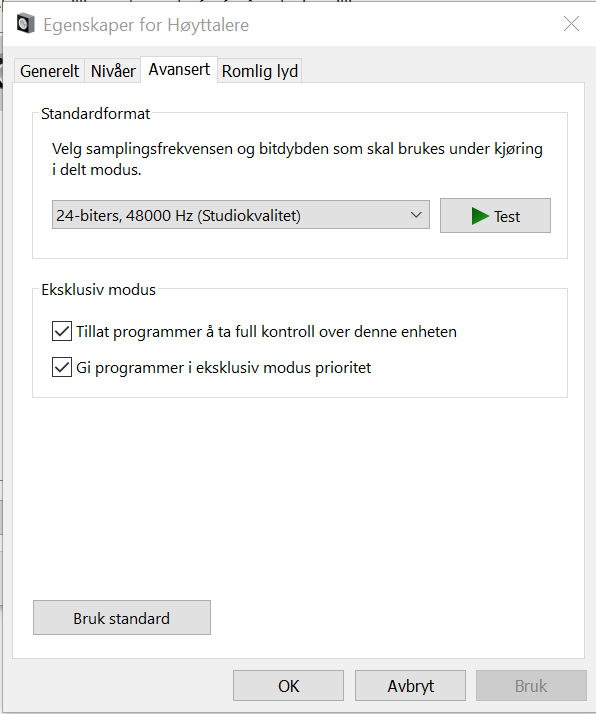 That's what was causing the problem with my audio and shadowplay reducing it to 16hz helped instead of 24.